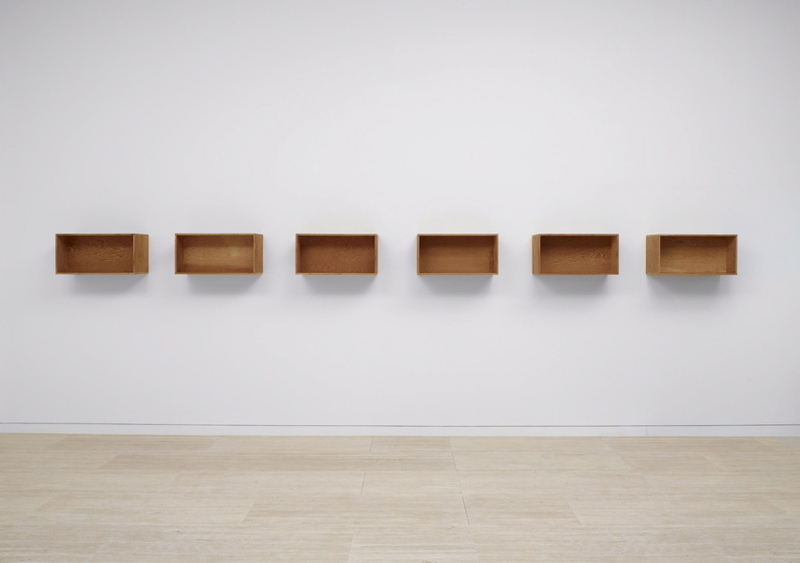 Like many minimalist artists Donald Judd worked in a modular way. ‘Untitled’, for example, is a series of horizontal rectangular units. The proportions of the module start with a ‘given’ – in this case, the size and thickness of the plywood that determines all other proportions in the work. Sometimes the boxes appear irregular, but this is an illusion of perspective and of the light falling into and around each box. The way an object contains space or casts shadow is part of Judd’s work. While his works were often made of steel and sometimes plastic, for ‘Untitled’ Judd made a very deliberate choice of wood, which retains the traces of its grain and has a glowing natural colour.